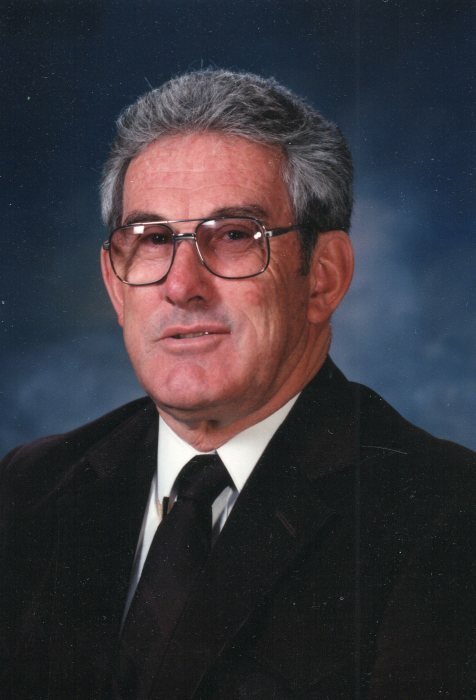 Vernile was born in Cedar City UT, on November 5, 1936 to Owen Evans and Verda Jones Matheson. Vernile was the 4th of 6 children, the youngest of the boys. He grew up in Enoch Valley as the family had the Matheson Dairy Farm. He attended school in Cedar City, continuing to College of Southern Utah, where he received his BA in Education. Dad tried a variety of vocations, but much of his life was spent as an educator. He drove truck in the summers as well. His truck handle was “The Teacher”. In 1972 he was named an Outstanding Educator of America. He traveled back to Washington DC to the White House to receive the award from then President Richard M Nixon. He was a teacher, a principal, Director of Transportation, as well as Director of Financial Aid. He taught at the elementary and high school levels. He served as principal at the elementary, middle and high school levels. He worked as an Assistant Director and Director of Financial Aid at NAU as well as the University of Arkansas, Fayetteville. He taught in Nevada and Utah school systems. Dad married Laura Lee Crosby early in 1957, while he was in school and in the army. He played Tight End in football at the college. They had a total of 5 children, starting in ’57 and ending in ’72. Dad served in the Army during the Korean Conflict, in Southern California. As the story goes, he was working procuring supplies for his unit, but because he could find things that weren’t available generally, his superiors kept him state side to keep their units supplied and ready to deploy. He had two good friends from those days, Lynn Crane and Leon Ewell, both of them from Idaho. After finishing up college in Cedar, there were several young men, Dad included, from southern Utah that got their teaching credentials and headed to Las Vegas to teach. They bonded there in Vegas where they worked hard and played hard. Taco Bell nights when you got 20 tacos for $1. Someone would make a run and buy $4 or $5 worth of tacos. Then everyone would meet at one families house for dinner, kids and all. Lake Mead played a big role in the recreation activities while they lived in Vegas. During the Vegas era, there were several times that he would leave the area to try something different. Usually to return within 6-8 months, back to close to the same neighborhood and back to the classroom. Dad team taught early morning seminary with Rich Heywood, from Cedar City. He also worked as a Seventy in the missionary program. When he was working as a salesman, he would travel. More than once, he was stopped in an airport and asked for his autograph. People mistook him for Henry Kissinger. When he choose to not attend a particular annual conference, it was announced that orange juice and sprite would not be served at the bar that year. By the time they left Las Vegas, Mom and Dad had 4 of their eventual 5 children, moving to Flagstaff to attend NAU. After a year in Flagstaff, he headed to Arkansas with his Master’s Degree and an Education Specialist Degree during the reign of Frank Broyles as head football coach of the award-winning Arkansas Razorbacks. They stayed for one year in Arkansas. They moved to Fresno CA where he started in the VA office and ended up as the Director of Financial Aid. They stayed in Fresno, where they added child #5, to the family, until 1975. At that point, they moved back to southern Utah to Parowan, where he served as the principal of Parowan High School. From Parowan he moved to Cedar City, then Manilla, then Rich County, then to Morgan. During that time, he and Mom divorced, and he married Jeanne White. Jeanne and Dad spent 20 years in Morgan. They thought that they would never leave, but as fate would have it, Dad made one more move. They moved to Layton. Dad had retired, and Jeanne had one more year to retire from the Weber County School District. After Jeanne retired they decided to serve as an MLS Couple in the Utah Salt Lake Mission for their Church. They served in Layton, lived at home and played a role in the lives of many people in their stake. Throughout Dad’s life, in his work with kids, he was passionate. He was a hard worker, his Scottish heritage dictated that. He taught us to always return the truck that you borrowed, clean and full of gas. He loved toys, toys of all sizes and uses. Tractors, boats, jet skis, snow mobiles and trailers. He had a thing for trailers. He loved to lend them, to add manual cranks to them, to add a small wheel at the front that would carry the weight of them as you man handled them. Through the efforts of a few amazing people, there has been a scholarship fund set up for Morgan High School students. It is the Vernile Matheson WHO ARE YOU Scholarship. In lieu of flowers, if you wish, the family invites you to donate to that scholarship fund, care of the Morgan Education Foundation, http://morganeducationfoundation.org/contributions or contact Morgan School District directly. Funeral services will be held Tuesday, June 5, 2018 at 1 p.m. at the Layton Hills Stake Center, 2300 University Park Blvd, Layton, UT. A viewing will be held Monday from 6 to 8 p.m. at Walker Mortuary, 45 West 200 North, Morgan, UT and Tuesday from 11 a.m. to 12:45 p.m. at the stake center. Interment will be in the South Morgan Cemetery. Condolences may be sent to the family at www.walker-mortuary.com.